Well, it’s official…coldest August for three years!! !… The kids are back to school and it’s less than 4 months to Christmas…aaaaaaaaaaaarrrgh! Where has this year gone?! 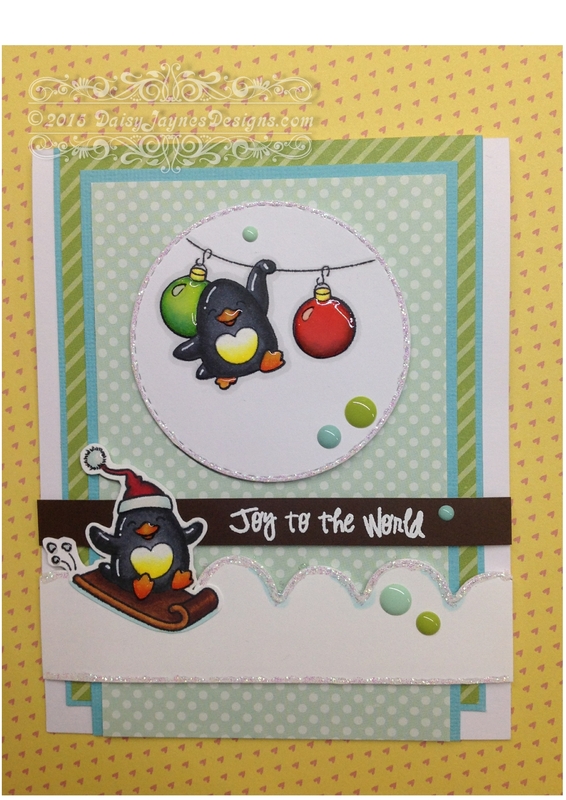 I used the Your Next Stamp ‘Waddles – Snow Fun!’ stamp set (CYNS143) and followed the card sketch #21. My little penguins were coloured in with Spectrum Noir markers and blinged up with some Wink of stella Clear brush marker and a little bit of glossy accents. It may be cold outside, but at least you are embracing and channeling it for Christmas cards!!! Such a fun card, I like the papers and touches of sparkle. I want that scallop die ;>) Thanks for joining in the fun with challenge #21!